I have a dream that one day. 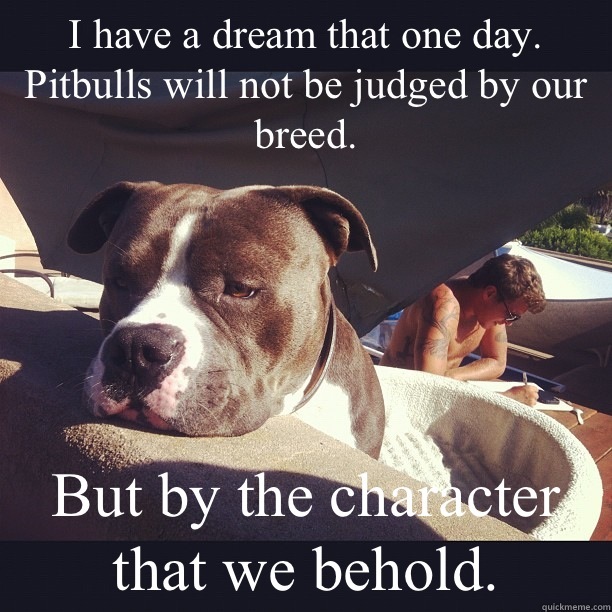 Pitbulls will not be judged by our breed. But by the character that we behold.